Core Cabling is ready to help you with IoT projects! Request a Free Quote to get started! CORE CABLING IS READY TO HELP YOU WITH IOT PROJECT! CORE Cabling offers responsive and cost-effective design and installation in wireless connectivity required for your Internet-of-Things (IoT) project. Our expertise is in designing and building a robust communication infrastructure between data-collecting sensors and the control centre found in an IoT system. CORE Cabling’s 15+ years of experience in the wireless marketplace is an invaluable resource to ensure your IoT-based infrastructure works exactly as designed. Applying IoT to your business will allow for large data-collection and in turn, increase actionable insights to further improve your business. We understand that an IoT-based infrastructure requires efficient communication to transfer large amounts of data. We will work closely with you to determine all your needs while providing a cost-effective solution. We have a proven track record and years of experience in wireless networks, which guarantees your IoT project will have fast and reliable communication. Our certified wireless network specialists are ready to work with you to improve your business with an IoT-based infrastructure. Request a quote today and receive a free consultation by clicking on the button below. We hope to hear from you soon and get started on your IoT project! 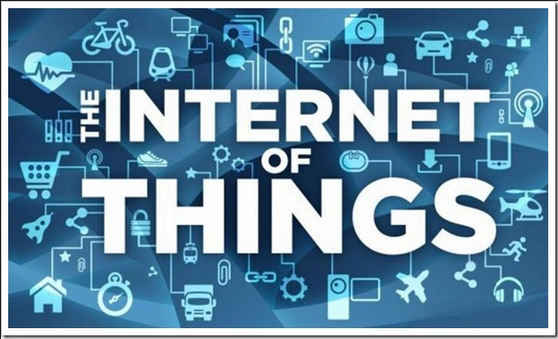 The Internet-of-Things is loosely defined as a mixture of hardware, software and services that collect useful data. There are many advantages and applications for utilizing an IoT-based infrastructure as a way to improve your business. This type of infrastructure allows the connection of devices and operating systems to the Internet while achieving a seamless transfer of useful data. This collection of massive amounts of data can be used to draw insights and identify areas of improvement to increase efficiency, productivity and effectiveness. A few examples include smart meters, energy management systems, smart thermostats, internet-connected appliances, fitness devices and home security. Some commercial applications can involve inventory and material tracking, real-time asset monitoring, product and asset connectivity, among many other several cases. We will work closely with you to apply an IoT-based infrastructure correctly for your business. To take advantage of an IoT-based infrastructure, it requires a very efficient, fast and reliable wireless connectivity that can handle all traffic loads. CORE Cabling’s expertise lies in facilitating this Medium - to ensure fast and reliable communication of data from the sensors to the control centre. Bad connectivity can cause major data collection issues and may also result in missing the data tracking of devices. Our team of wireless designers and installers will work towards building a constant and consistent connection between Internet-connected devices and the control centre. If you have any questions regarding our services for your IoT project or any other services, please email CORE Cabling today or give us a phone call at 905-235-7755. "The techs and managers kept us updated on the progress of the project. Communication was excellent at all times, and responses were clear and speedy. We felt at all times Core Cabling was responsive to our requests and went out of their way to make things work for us. We appreciate your work, from sales to cabling to quality control. You have made our transition smooth and without hassle."